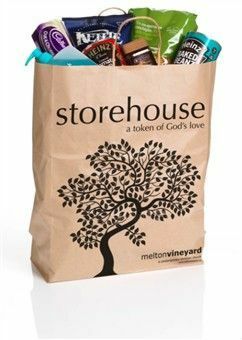 Storehouse is run by Melton Vineyard church and supported by Churches Together in Melton Mowbray. We put together food bags for those who are most in need; for example, those who are waiting for a benefit payment to arrive or struggling to survive on a very low income. The items we give away are as a result of referrals we receive from local organisations such as Melton Borough Council, Brooksby Melton College, Childrens Centres, Myst Lodge & Westbourne House, Latham House Medical Practice, Social Services, Supporting Leicestershire Families, Melton Furniture Project and others. If you'd value a listening ear / some company / the chance to enjoy free refreshments / lunch you're welcome to drop in at the Fox on Monday or Wednesday mornings (10-1) or Friday afternoons (1-4, lunch served 1.30-2.30pm). We also run a variety of courses and groups. For more information, see the Activities page.